The Statue of Liberty, a hollow colossus composed of thinly pounded copper sheets over a steel framework, stands on an island at the entrance to New York Harbor. It was designed by sculptor Frédéric Bartholdi in collaboration with engineer Gustave Eiffel and was a gift from France on the centenary of American independence in 1876. Its design and construction were recognized at the time as one of the greatest technical achievements of the 19th century and hailed as a bridge between art and engineering. Atop its pedestal (designed by American architect Richard Morris Hunt), the Statue has welcomed millions of immigrants to the United States since it was dedicated in 1886. The Statue is a masterpiece of colossal statuary, which found renewed expression in the 19th century, after the tradition of those of antiquity, but with intimations of Art Nouveau. Drawing on classical elements and iconography, it expressed modern aspirations. The interior iron framework is a formidable and intricate piece of construction, a harbinger of the future in engineering, architecture, and art, including the extensive use of concrete in the base, the flexible curtain-wall type of construction that supports the skin, and the use of electricity to light the torch. Édouard René de Laboulaye collaborated with Bartholdi for the concept of the Statue to embody international friendship, peace, and progress, and specifically the historical alliance between France and the United States. Its financing by international subscription was also significant. Highly potent symbolic elements of the design include the United States Declaration of Independence, which the Statue holds in her left hand, as well as the broken shackles from which she steps. The Statue of Liberty is one of the few cultural World Heritage sites in North America that is from the post-colonial era. There is a smaller replica of the statue in Paris, which is also on a World Heritage site. The Statue of Liberty is not only the most iconic landmarks in the US, but it has also become one of the country’s most important symbols of freedom and independence. 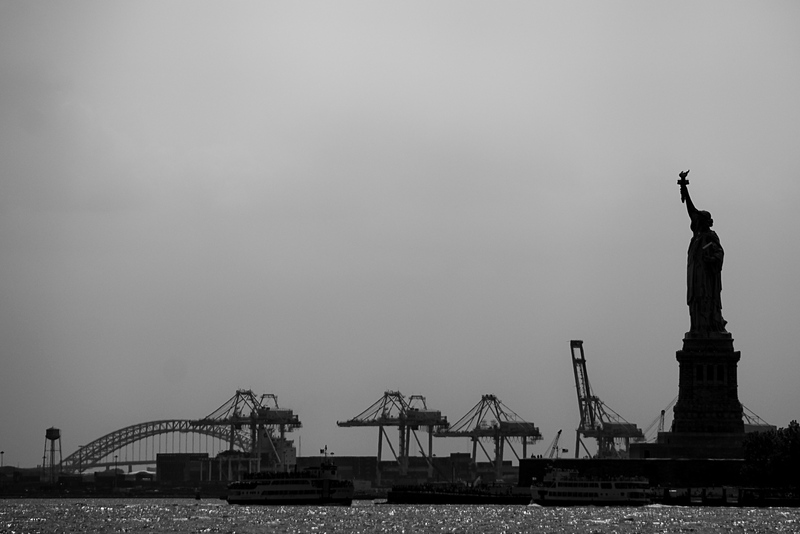 This is a colossal neoclassical sculpture that towers above the Liberty Island in New York Harbor. This copper statue is actually a gift from France to the United States in 1886. 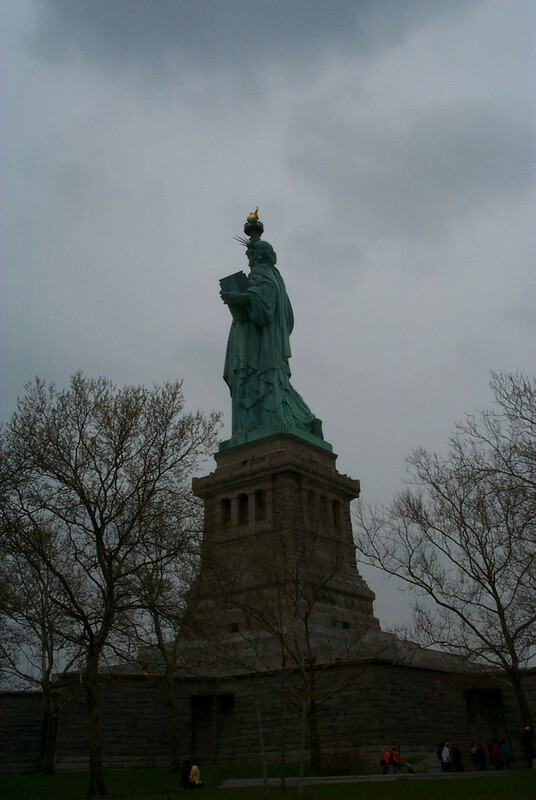 The sculpture’s design was a work of French artist Frederic Auguste Bartholdi. It was built by Gustave Eiffel, the same one responsible for the Eiffel Tower in Paris. 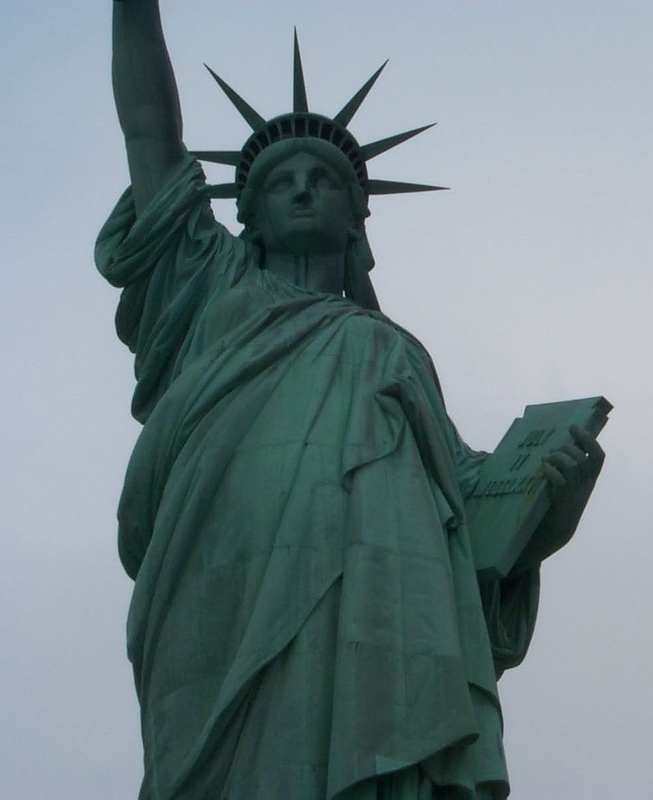 The Statue of Liberty was modeled after a Roman goddess Libertas, which is a robed female figure. The same figure holds a torch above her head. Meanwhile, her other hand carries a tablet with inscriptions of the date of the US independence. At her feet lies a box of chains. It was in the year 1865 when Frenchman Eduoard de Laboulaye proposed the idea of giving a monument to the United States. This idea took 10 years to come into fruition when sculptor Frederic Auguste Bartholdi was commissioned to create a sculpted monument. He was given the year 1876 as a completion date for this project, which was in time for the centennial celebration of the American Declaration of Independence. This project was a joint effort between France and the USA. The statue was given the name “Liberty Enlightening the World”. Based on the agreement, the Americans were responsible for building the pedestal for this monument. Meanwhile, the French people were to build the sculptured monument. The assembly will then be done in the United States. There were a few hiccups towards the completion of this project, though. On the French side, they were struggling to raise the funds needed to complete the monument. Meanwhile, the US side got a sufficient amount of monetary assistance for the project coming from art exhibitions, prizefights and more. In fact, the poem “The New Colossus” was written by poet Emma Lazarus in 1883 in order to raise funds for the statue’s pedestal. In France, Bartholdi commissioned Alexandre Gustave Eiffel, an engineer, to help him deal with the structural issues of his sculpture design. The use of a massive iron pylon and skeletal framework were needed for the copper skin to stand upright. As for the pedestal, it was designed by Architect Richard Morris Hunt. The Statue of Liberty is not just a UNESCO World Heritage Site, it is also recognized as a New York City landmark and is listed in the New Jersey Register of Historic Places. 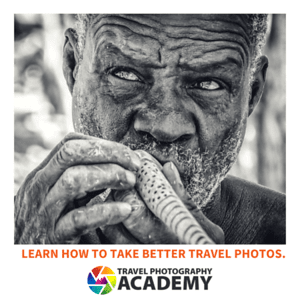 According to the UNESCO listing, it is considered culturally valuable as it depicts the “masterpiece of the human spirit”. It is also a potent symbol of liberty, peace and human rights. Hence, the conservation efforts are strong to preserve the State of Liberty for future generations. In 1982, President Ronald Raegan appointed a private sector that is dedicated for solely restoring the Statue of Liberty. Together with the National Park Service and the Statue of Liberty-Ellis Island Foundation, they worked to raise $87 million for the restoration of this symbolic monument. To this day, this remains as one of the largest private and public partnership America has ever seen. A team of engineers, architects and conservators worked together to help ensure that the Statue of Liberty will remain intact for the next century. Some of the holes on the copper skin were repaired while reinforcing the internal iron structure. The rusting iron bars were also replaced with new ones. Meanwhile, the torch was replaced with an exact replica of the original torch created by Bartholdi after the latter was severely damaged.